Stroke. 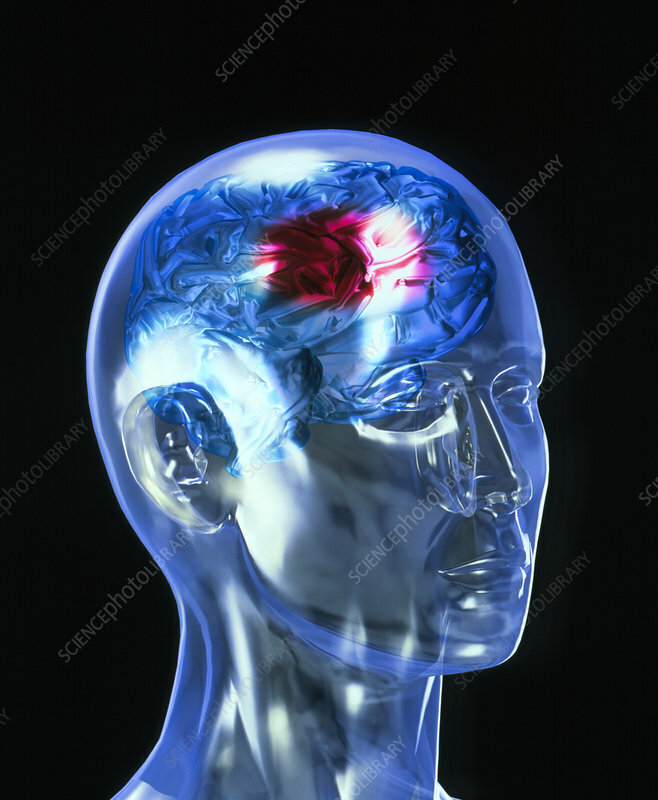 Computer illustration of a stroke (red) seen inside a transparent human head. A stroke is also known as a cerebrovascular accident (CVA). Here a blood vessel has burst, creating a cerebral haemorrhage in the brain. Parts of the brain that are deprived of blood, and hence their oxygen supply, will die. Symptoms of a stroke depend on extent and location of brain damage. They vary from headaches and dizziness to paralysis and death. Strokes typically occur in the elderly and are a major cause of death.